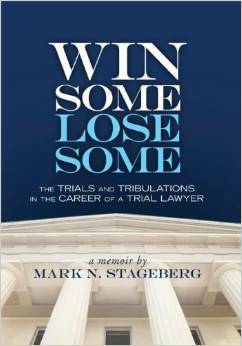 Mark N. Stageberg, a Minnesota civil trial lawyer with over 40 years of experience, has written a fascinating review of his career in Win Some Lose Some: The Trials and Tribulations of a Trial Lawyer. I am amazed by the broad variety of his experience–insurance defense work in personal injury cases as he was starting out and then plaintiff’s personal injury and other types of cases over the rest of his career. Most were in state and federal courts in his home state of Minnesota, but he also has handled cases in the courts in 14 other states. Moreover, he has been a lawyer in over 175 completed jury trials or an average of about four per year. In other words, only 4.3% (11,306/255,260) of all the federal court civil cases that were terminated in FY 2013 were terminated by trial. I believe similar statistics exist for other years for the federal courts. The same is true, I believe, for most state courts. Stageberg starts by saying that finishing law school and passing a bar exam do not by themselves make anyone ready to conduct a civil trial (p. 20-21). Instead, it takes actually trying cases and learning from experience. This would be aided by having an experienced mentor, something he did not have (p. 27). As a retired lawyer reflecting on my first years of practice nearly 50 years ago, I wholeheartedly agree. Moreover, there is not a general overarching set of procedural rules that apply in all courts in the U.S. There is the Federal Rules of Civil Procedure that govern all civil cases in all the federal district courts plus local rules for each of the 94 such courts. The local rules with which I am most familiar is the set for the District of Minnesota. In addition, each federal district judge often has his or her own additional rules or practices. Each state in turn has its own set of civil procedural rules. Thankfully for the trial lawyer, most states have adopted rules modeled on the Federal Rules of Civil Procedure, but there are usually some differences between the two. Here I reference the Minnesota Rules of Civil Procedure. The states also frequently have an additional set of rules; in Minnesota it is called the General Rules of Practice. Again the lawyer also needs to be aware if the individual trial court judge has other rules or practices. Trial lawyers also need to be intimately familiar with the jurisdiction’s law of evidence. Now there is the Federal Rules of Evidence for trials in the federal district courts, and there are separate evidentiary rules in each state. Again the trial lawyer is thankful that today they are modeled on the Federal Rules of Evidence; an example is the Minnesota Rules of Evidence. Another body of law needs to be in the trial lawyer’s tool kit: conflict of laws. Because many cases involve facts in different states or different countries, there has to be a set of rules or principles to determine which jurisdiction’s substantive law applies. Each state has its own body of such law, and the rules applicable in federal court cases are even more complex. All of these areas of law—procedure, evidence and conflicts—are in addition to the substantive law that determines whether or not there is liability and the appropriate remedy. Frequently the trial lawyer will look for guidance on these substantive issues to other lawyers in his or her law firm with appropriate expertise. For example, I handled a case raising issues under the complex federal Employee Retirement Income Security Act (ERISA), for which other lawyers in the firm who specialized in that area provided the substantive legal analysis. For all of these areas of law the trial lawyer needs to keep abreast of any amendments to the rules and statutes and their interpretations by the courts. As a result, if the lawyer is handling or trying a case outside his or her home state, the lawyer is required by court rule to associate with an attorney of the bar of that jurisdiction, and such co-counsel needs to be knowledgeable about all these issues in that jurisdiction. Stageberg learned this lesson when his local counsel was not so qualified (p. 188). Another requirement for the trial lawyer is developing the skills of using the courts’ discovery rules plus independent investigations to discover the facts relevant to the case and to assemble the evidence for the case, including the retention of expert witnesses when appropriate. All of the foregoing knowledge is necessary before you enter the more complex and challenging trial courtroom. There the lawyer needs to develop the skills of oral advocacy, of asking non-objectionable questions, of making appropriate objections, and of making tactical and strategic decisions, all in the pressure cooker of a trial courtroom when there is an opposing lawyer who is trying to counter whatever you do and defeat you in the courtroom battle. Yes, indeed, learning how to be an effective trial lawyer takes a lot of learning by doing. Stageberg tells us, “Trying lawsuits is very strenuous, high-pressure occupation. Working thirteen or fourteen hour days for the duration of the trial is . . . very hard work” (p. 382). Amen! From my much more limited experience of actually trying cases, I concur, and a prior post discussed some of the aspects of this stress. Indeed, the mere foregoing recital of the things that have to be learned by a trial lawyer should make it self-evident that trial work is very stressful and very hard work. But wait, there is more. When you are in the courtroom itself, even though that may “only” be three or so hours in the morning and another three or so in the afternoon, your mind is continuously multitasking. Here are a few of the questions that are running through your mind when you are examining your own witnesses. What did the witness say? How do you respond to any objection? What is the next question? Are you covering the essential points for the plaintiff’s claim or the defendant’s defense? Have you covered all you wanted to do with this witness? Have you introduced and offered into evidence all the exhibits you planned? How is the judge reacting to the testimony? The jury? Who is the next witness? Do your plans for that witness have to be changed in light of what this witness is saying? The opposing lawyer has all these questions running through his or her mind plus others. Is the question objectionable, based upon the law of evidence? If so, what objection and whether and how to state it? Is the witness’ testimony consistent with what he or she said in a deposition or an affidavit, both under oath, or in a letter, memo or email or other document? How should I cross-examine this witness? Then conducting the cross-examination puts you in the shoes of the lawyer described in the prior paragraph. You also have to find time during trial for bathroom breaks, meals and sleep. Sleep does not come easily as your mind races over all of the decisions you made that day and those you will have to make the next day. As a result, your sleep suffers and you get exhausted. You need to eliminate all other demands on your time, including commuting. For example, in my last trial in state court in downtown Minneapolis in January 2001, I stayed in a hotel close to the courthouse in order to eliminate the daily seven-mile commute from my home and the risk of winter storms and traffic making such commutes even more difficult and time-consuming. Stageberg emphasizes that the attorney should never believe everything a prospective or actual client says and that a new client should not be accepted before the attorney has done some independent research about the prospective client (p. 327). I recall a case for a regular client of the law firm when I should have followed this precept. The client’s distributorship had been terminated by the manufacturer, and after obtaining the client’s file for the distributorship, I commenced a lawsuit for breach of contract and other alleged wrongs only to have the manufacturer’s lawyer provide me with a copy of the written contract (which I had never seen) that torpedoed the lawsuit. Juries can go off on tangents so try to provide careful explanations of photographs and other exhibits (pp. 21-22). Be honest with the jury. Do not downplay the problems with your case (p. 306). Trying to “read” a jury’s reaction to the testimony and to you as attorney is very difficult and easy to mistake (p. 23). Also avoid prejudging a jury based on stereotypes (p. 45). An expert’s testimony about his or her opinions requires the prior establishment of foundation for that testimony (P. 22). The lawyer needs to know how to pronounce the unusual names of witnesses and places (p. 51). The lawyer should also be careful about what vehicle he or she drives to court, not wanting to offend U.S. workers by driving a foreign vehicle (p. 50). The lawyer needs to make a trial court record for anything that might become an appellate issue, including the judge’s inattentiveness (pp. 91-92). Always try to anticipate the unexpected and maximize your control of the situation (p. 126). Eyewitness testimony is not always reliable (p. 129). In certain cases, the lawyer should make his or her own inspection of the accident or other important scene in the case (p. 133). Having a jury inspect such scenes can also be a very effective tool for the lawyer (p. 210). Especially in personal injury cases, the plaintiff and his or her attorney needs to be aware that insurance companies frequently conduct surveillance of the plaintiff (p.142). The attorney’s presentation of the essentials of a case to a focus group or mock jury can greatly assist the attorney in revising the case to make it more effective in the court (150-57). The attorney needs to counsel the client to be careful on what he or she says and their appearance in the presence of the jury or individual jurors in and out of court (p. 214). Stageberg has harsh words about some lawyers from large law firms who represented clients in litigation, but did not have much actual trial experience (pp. 245-50). In at least one instance Mark, known as an experienced trial lawyer, bluffed about his eagerness to go to trial and thereby induced the defense counsel to make a substantially better settlement offer (248-50). Trial by jury, or course, is not the only way U.S. courts try civil cases. In the federal system, parties may waive their constitutional right to jury trial under the Seventh Amendment and have a single judge hear all the evidence and render a decision in that case. This is another tactical and strategic decision for the client with the lawyer’s advice. For a lawyer like Stageberg with extensive jury trial experience facing other lawyers who probably have less jury experience, Stageberg would favor trial by jury. I, however, tended to favor trial by the judge unless there was some reason to doubt the ability or fairness of the judge. In addition, the lawyer usually knows a lot about the judge’s record and manner whereas nothing is known about the abilities and skills of an unknown jury. Finally I often believed that a judge can better understand the complexities of a case than a jury. In 2013 (long after my retirement from lawyering), I was called for jury duty in Minneapolis and was on two panels of prospective juries, but as anticipated, I was stricken from both by preemptory challenges. Trial lawyers generally do not want other lawyers to serve as jurors on suspicion that they will be too dominating in the jury’s deliberations. But it was an educational experience to see the process from a different angle and to appreciate and respect the seriousness of the prospective jurors and the trial judges. I did not find a discussion of this issue for the trial lawyer in the Stageberg book. This is merely an observation, not a criticism. The foregoing discussion by itself should demonstrate the high cost of litigation through trial. Given the legitimate public interest in resolving disputes as quickly and as cheaply as possible, many of our courts have adopted what is often called court-annexed ADR (Alternative Dispute Resolution). A similar rule exists in Minnesota’s federal district court. Its Local Rule 16.5(b) provides that with certain stated exceptions, “the court must schedule a mediated settlement conference before a magistrate judge. The court, at a party’s request or on its own, may require additional mediated settlement conferences. Each party’s trial counsel, as well as a party representative having full settlement authority, must attend each mediated settlement conference. If insurance coverage may be applicable, an insurer’s representative having full settlement authority must also attend.” In addition, Local Rule 16.5(c) states that the court may order the parties to participate in other ADR procedures. Independent of these court measures, the parties to contracts often agree to submit their disputes to arbitration or another form of ADR under the rules of a private agency that will administer the process such as the American Arbitration Association. These rules are similar in many ways, but not identical, to the relevant court rules of civil procedure, so the lawyer needs to be knowledgeable about these rules too. These proceedings are private and hopefully shorter than court trials. But the arbitrators or other neutrals are paid by the parties, which adds another expense to the cost of dispute resolution. I spent a lot of time promoting ADR in the Minnesota State Bar Association and elsewhere. One of my motivations was to reduce the estrangement of parties that is often a by-product of litigation. I also acted as an arbitrator, drafted contractual arbitration and other dispute resolution provisions for other lawyers in the firm and was a lawyer for parties in arbitration. I did not see a discussion of this aspect of the life of a trial lawyer in Stageberg’s book. Again, this is merely an observation. This book is entertaining and educational for anyone interested in the contemporary American civil justice system. It also is most useful for someone who is thinking about becoming a trial lawyer or just starting down that long winding road. I thank Mark for sharing his career with the rest of us. In 1988 the Faegre & Benson law firm of Minneapolis was retained to defend the Phillips Lighting Company  in a civil lawsuit brought in U.S. District Court for the District of Minnesota, and I was assigned as the lead attorney for the case. The plaintiff was Ibac Industries, Inc. of Princeton, Minnesota, a small town about 50 miles north of Minneapolis. It had been working at manufacturing a plastic cover for an early Compact Fluorescent Lamp (CFL) designed by Phillips. The complaint asserted claims for alleged breach of a joint venture agreement; violation of the Racketeer Influenced and Corrupt Organizations Act (RICO), which if successful entitled the plaintiff to treble the amount of actual damages plus attorneys’ fees; fraud; negligent misrepresentation; and four other theories. I do not recall what the alleged damages were except that they were significant. Before trial on behalf of Phillips I successfully moved to dismiss the RICO and joint venture claims for failure to state a claim on which relief could be granted and for summary judgment on another claim. I also was successful in resisting the plaintiff’s motion for leave to amend the complaint to add a claim for punitive damages. As a result, we went to trial in December 1989 on the fraud, negligent misrepresentation and three other claims. At the end of the evidence, the court granted Philips’ motion for directed verdict on the three other claims, leaving only two for the jury to decide. The jury returned a special verdict for Phillips on the fraud claim. Thus, the only remaining claim for resolution by the jury’s special verdict was negligent misrepresentation. Under the Minnesota common law of negligent misrepresentation, at the time, as I recall, a person who, through his or her profession, business, or employment, or in any transaction in which he or she has a pecuniary interest, fails to exercise reasonable care or competence in obtaining or communicating information and thereby supplies false information while guiding others in their business transactions, is liable for any pecuniary loss caused by the claimant’s justifiable reliance on the information. However, such a claim is subject to the comparative fault doctrine, whereby the plaintiff can recover only the percentage of fault attributable to the defendant, and if the plaintiff’s fault exceeds the defendant’s, the plaintiff can recover nothing. 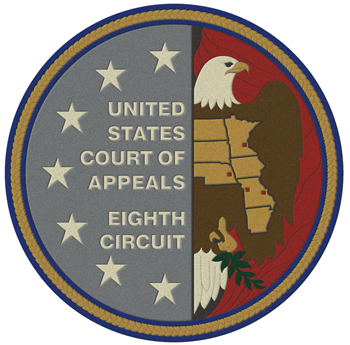 To prevail on a negligent misrepresentation claim under Minnesota law at the time, as I recall, a plaintiff must establish that: (1) the defendant owed the plaintiff a duty of care; (2) the defendant supplied false information to the plaintiff; (3) the plaintiff justifiably relied upon the information; and (4) the defendant failed to exercise reasonable care in communicating the information; and (5) damages. Even though, as I recall, Phillips contested all of these elements, the jury’s special verdict found such negligent misrepresentation and assigned slightly greater responsibility to Phillips (something like 60%) than to Ibac (something like 40%). This was good news for Phillips in that Ibac’s recovery of its damages would be reduced by the percentage of responsibility assigned to Ibac. This was bad news for Phillips, on the other hand, in that Ibac was not shut out from recovering anything. At the time I was disappointed after coming so close to “zeroing out” the plaintiff. The trail was bifurcated between liability and damages, and after the above jury determinations on liability and before a trial before the same jury on damages, there was a settlement in January 1990 with Phillips paying Ibac a sum of money, the amount of which I do not recall. The bifurcation of the trial provides insights about the life of the litigator/trial lawyer and being subject to the demands or whims of the court. As I recall, U.S. Senior District Court Judge Edward J. Devitt, the presiding judge, called a pretrial conference in early December 1989 and much to my surprise and consternation and without any prior notice, set the trial to commence just before Christmas, only a few weeks away. Perhaps this was the Judge’s stratagem to try to force a settlement because of all the difficulties this short notice would present to the parties and their attorneys. Unfortunately my wife and I already had paid for a vacation to Costa Rica for later that month. When I objected to this date for the trial on that basis and on the difficulties of having my client’s witnesses come from Boston on short notice during the holiday season, Judge Devitt accommodated me by bifurcating the trial between liability and damages and only conducting the liability trial before I was scheduled to go on vacation. While I was in Costa Rica, I received news from my law firm that the plaintiff was increasing its alleged damages. This forced me to leave Costa Rica early when I was not feeling well. I well remember leaving La Selva Research Station in the rain forest where we were staying to catch a local bus on a country road for a long ride to the capital city of San Jose. When the bus came over the mountain, I saw the widespread lights of the city looking as large as Los Angeles. That really impressed upon me the lure of cities across the world to people living in the countryside. First, he did not mention his losses on the previously mentioned pretrial motions that significantly reduced the potential of his case. Third, I do not recall Stageberg’s account of the so-called “smoking gun” document from Phillips’ files, and I certainly do not believe that this document or any other evidence proved that the Phillips’ witnesses were lying, as Stageberg claims. Indeed, the jury’s rejection of the fraud claim undercuts Stageberg’s interpretation or recollection of this point. Fourth, contrary to what Stageberg said, the jury did not determine that Phillips had “breached its contract and had committed fraudulent misrepresentations” with Ibac. As previously stated, the breach of contract claim was dismissed on motion or on directed verdict, and the jury determined that there was no fraudulent misrepresentation. Fifth, we will never know that would have happened if Ibac had started the whole process with a more reasonable demand. Nevertheless, I have to admit that after all of the skirmishing, his client walked away with a substantial settlement amount (minus attorneys’ contingent fee). I also note that Stageberg expressed his consternation in another case when he was subjected to a trial court’s unexpectedly setting a trial date that interfered with his plans to do other things. (Win Some Lose Some at 189-192). Phillips was part of Koninklijke Philips N.V. (Royal Philips, commonly known as Philips), a Dutch diversified technology company headquartered in Amstrerdam and one of the largest companies in the world. This post is based upon my personal recollection and on my December 1989 and 1990 descriptions of the status of this case in my annual reports to the partner in charge of my group at Faegre & Benson, which I am confident accurately reflected what had happened in the case. I do not have any documents from the case. I am confident that Faegre’s files for a 24-year-old closed case were destroyed a long time ago under regular document-retention guidelines. Finally the court’s files for the case (# 3:88cv-00482-EJD) have been sent to storage in a remote federal facility. In 1980 Phillips introduced its model SL, which was a screw-in lamp with integral magnetic ballast. The lamp used a folded T4 tube, stable tri-color phosphors, and a mercury amalgam. This was the first successful screw-in replacement for an incandescent lamp. All of this, as I recall, was before any involvement of Ibac with respect to the plastic cover. In 1989 Judge Devitt at age 78 was a very eminent federal jurist. 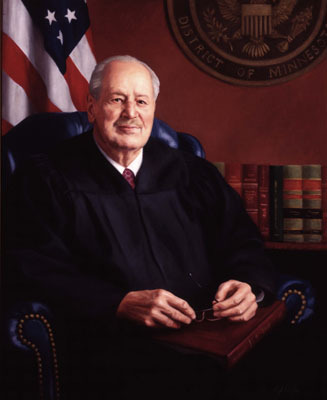 He had served as one of Minnesota’s federal District Judges, 1954-1958, as its Chief Judge, 1959-1981, and as one of its Senior Judges since 1982. He continued in that capacity until his death in 1992. Before his federal judicial career, he served one term in the U.S. House of Representatives. I plan to write a general review of the memoir after I finish reading it. In late April I received a Minnesota Jury Summons ordering me to appear at the Hennepin County Government Center in downtown Minneapolis on May 6th for two weeks of jury duty. The form advised me that my name “was randomly selected from a list of licensed drivers, state identification card holders and registered voters in [the County].” Each year approximately 30,000 such summonses are issued. The Summons contained a Qualification Questionnaire that had to be answered and returned to the court within 10 days. In addition to basic personal information, the Questionnaire asked if you were a U.S. citizen, were at least 18 years of age and a resident of Hennepin County, were able to communicate in English, had any physical or mental disability that would affect your ability to serve, had ever been convicted of a felony, had been on jury duty in the State in the past four years and were a judge in the judicial branch. Although I was eligible for an automatic excuse from such duty for people over 70 years of age, I did not exercise this right. I thought I was fit and able and should fulfill this obligation of citizenship. As a former lawyer who tried some jury cases, I also thought it would be educational and interesting to see the trial process from a different perspective. I thus answered the call for service even though I thought it most unlikely that I would sit on a jury because trial lawyers are reluctant to allow current or former lawyers on a jury due to fear that they would dominate other jurors and use their pre-existing legal knowledge to influence their decision. On May 6th at 8:15 a.m. I joined 124 other citizens in reporting for duty in the Jury Assembly Room at the Government Center. Our attendance was taken by having the bar codes on our summonses read electronically. Before we watched a movie describing the jury system in Minnesota and read the State’s Jury Handbook, we were told there were 105 pending cases that might require juries, that we were not to discuss any cases or read or see any media coverage of cases while we served and that we were not to do any independent Internet or other research or investigation regarding such cases. We also were told not to discuss the cases on any social media until they were over. Around 10:00 a.m. 14 potential jurors were called and escorted upstairs to the courtroom for a case. A half hour later I was included in a panel of 16 for another case, and we were escorted upstairs to the courtroom of Judge Mel Dickstein for a civil case by an interior design company against Bernard Berrian for alleged unpaid fees for work on a condo in downtown Minneapolis. After brief introductions of the trial lawyers and their clients, the prospective jurors were subjected to voir dire, questioning by the Judge and then by the lawyers to try to determine if any of us had any reasons why we could not be fair and impartial in this case. This process took an hour in the morning and one and a half hours in the afternoon. One of the judge’s questions was whether we ever had been deposed, i.e., given sworn testimony before trial. I answered “Yes,” and when I said it had lasted for five days, the Judge asked for my reactions to that experience. I said I often was frustrated and had greater sympathy for the many people I had deposed in my legal career and for the clients I had defended in depositions taken by other lawyers. When trial lawyers question the prospective jurors, in addition to trying to see if there are reasons for disqualifying an individual, they also have other objectives. They want to obtain a sense of what the individuals are like to aid the lawyers’ exercising their preemptory challenges, i.e., dismissing some individuals for no stated reasons. They also try to give prospective jurors a peak at what their case is about and build rapport with the prospective jurors. One of the attorneys in this case, I thought, failed in these secondary objectives by engaging in very detailed and unnecessary quasi-cross examination of some of the members of the panel. At least it annoyed me. Finally the judge called the lawyers to the bench and undoubtedly told them to speed up the questioning because thereafter the questioning was much shorter and was soon over. As I sat in the jury box, I wondered why this case had not settled, as most similar cases do. Each side had two lawyers (or one lawyer and a legal assistant) at the counsel tables, thus increasing the costs of litigation for both parties. In this preliminary phase, we were not told how much money was at stake, but I could not believe it was immense. Only one of the panel was excused for cause; she was responsible for taking care of her elderly mother. The lawyers then exercised their preemptory challenges. I was one of those thus striken. I, therefore, returned to the Jury Assembly Room until 4:00 p.m. when I was released for the day. Later I was told that 124 of the 125 citizens in the Room that day had been called upstairs as potential jurors. The next day (May 7th) 86 other citizens and I reported to the Jury Assembly Room at 9:00 a.m. This included some who had been on On-Call status the prior day. We were told that there were 35 potential jury cases on the trial calendar for the day. Around 10:30 a.m. a group of potential jurors was called for a case. However, the Room’s computer had gone down, and all of us had to write our names on slips of paper, and the requisite number of slips was drawn at random from a bowl. I was not included. At 11: 45 a.m. those of us still in the Room were released for our lunch break. After we had returned at 1:30 p.m., I was included in a panel of 35 potential jurors and escorted upstairs to the courtroom of Judge Lyonel Norris for a criminal case. The defendant was an African-American man accused of domestic and sexual abuse, as I recall. Judge Norris and then the lawyers in the case questioned 21 of us who were in the jury box to try to determine if there were any reasons why we could not be fair and impartial jurors in the case. This process lasted the rest of the afternoon until nearly 5:30 p.m. and most of the next morning (May 8th). We were asked if we or any members of our families, including close friends, had ever been a victim of sexual or physical abuse or ever been accused of such crimes. I was astounded that 9 of the 21 said that they had. Some of the nine were then questioned about the circumstances at the judge’s bench while a “white noise” machine was turned on so that others in the courtroom could not hear what was said. Others of the 9 provided details involving other members of their families in open court. Afterwards one of the 9 was excused when she said she could not be fair and impartial in this case because of the nature of the criminal charges. I was also surprised by how many of us answered affirmatively to the question of whether we or any members of our families, including close friends, had ever been accused of a crime, including DUI. Most talked about relatives and friends accused of DUI. Each of the 21 people in the jury box provided basic personal information. I said that I was a retired lawyer and adjunct law professor, that my wife was also retired, that one of our sons lived in the Twin Cities area and was a principal of a gourmet coffee company, that our other son lived in Ecuador and was the C.E.O. of a non-profit environmental group and that I was an active member of Minneapolis’ Westminster Presbyterian Church. In response to specific questions, I disclosed I had been a defendant in two civil cases, both of which had been resolved in my favor; that I had testified as a foundation witness in a federal court criminal case; that in the early 1970’s I had been a pro bono (no fee) lawyer for the Minnesota Civil Liberties Union in a lawsuit against a group of Minneapolis policemen for a political raid and that we had obtained compensatory and punitive damages against some of the defendants; that although I had never practiced criminal law, I had become interested in international criminal justice and the International Criminal Court as a result of my teaching international human rights at the Law School; and that my wife had been a volunteer coordinator at Minneapolis’ Neighborhood Involvement Program and Chrysalis Women’s Center which had programs for battered women. After the questioning of the potential jurors was completed, no one else was excused for cause. Again, however, I was striken by the attorneys. I returned to the Jury Assembly Room and was excused for lunch. When I returned at 1:30 p.m., I was informed that all of the other potential jurors and I were excused from the balance of our jury duty. This week I received my State compensation for my jury duty $30.00 ($10.00/day) plus $11.34 for mileage. I was impressed by the operation of the jury system. People in the Jury Assembly Room were attentive to the instructions and information being conveyed and respectful of the court officials and their fellow potential jurors. In the two courtrooms the judges and trial lawyers were courteous and respectful of one another and of the potential jurors. I was most impressed with the judges’ emphasis of the need to have fair and impartial jurors and by their questioning of us, especially in the criminal case. I also got to know some of my fellow prospective jurors and was most impressed by all of our ability and willingness to answer in public questions about our personal lives. I certainly believed that all of us were striving to do our best to provide information to the court about our personal circumstances that might affect our ability to be fair and impartial. Information about jury service is available on websites for the Minnesota State Courts and for the Hennepin County District Court. Although I knew or had appeared as an attorney before 19 of the 61 Hennepin County District Judges, I had had no prior experience with Judge Dickstein. Later I did research and discovered that he holds undergraduate and law degrees from the University of Minnesota and was a former Assistant U.S. District Attorney and a former Associate and Partner attorney in the Minneapolis law office of Robins Kaplan Miller & Ciresi, with which I had had several cases in my career. 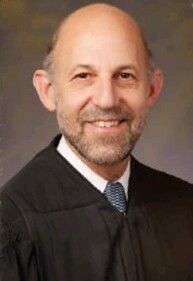 Mr. Dickstein was appointed to the bench in 2002 and elected for retention in 2004 and 2010. As several other prospective jurors and I stated to the court, we recognized Mr. Berrian as a former professional football player who had played for the Minnesota Vikings football team. After I had been dismissed as a juror in the case, I did some research and discovered that he had his own website. I also had no prior experience with Judge Norris. Later I did research and discovered that he had been a Law Clerk for Judge Michael J. Davis in state and federal courts, an Assistant Public Defender, Public Defender, Director of the Minnesota Department of Education’s Office of Equity and Assistant Federal Defender before he was appointed to the bench by Governor Mark Dayton in 2011 and then elected to retain his judgeship in 2012. Growing up in Washington, D.C., Mr. Norris in an interview after his judicial appointment said he was a runaway and homeless at age 16. He was fortunate to meet someone “in the business of helping kids,” who lead him to Runaway House and later to Carleton College, one of Minnesota’s premier private liberal arts institutions. There he became interested in law and then attended, and was graduated from, the University of Minnesota Law School. In or about 1978 the MPS School Board, frustrated by the continued bad publicity generated by the case, decided to hire me as its outside attorney for the case with the objective of having the court end the litigation on the ground that the MPS had done everything that a federal court legitimately could require it to do. The first such effort was unsuccessful. In early 1978 I filed a MPS motion to terminate the litigation that was based on the then recent U.S. Supreme Court decision in Dayton v. Brinkman, 433 U.S. 406 (1977) that held the permissible court injunction in the Dayton, Ohio school desegregation case was limited to eliminating the “incremental segregative effect” of its constitutional violations. In addition, the court in its May 1978 order rejected the MPS request to increase the allowable maximum minority enrollment in each school to 50% and to eliminate the single minority ceiling requirement. The court did say it had “never regarded the percentage figures [in its orders] as rigid requirements” and that it had set the percentage “guidelines at approximately 20% above the projected total minority student population.” The court then went on to modify its injunction to increase the maximum total minority student of each school to 46% (an increase of 4%) and a single minority’s maximum percentage to 39%(also an increase of 4%). The MPS then made its only application to the U.S. Supreme Court to review the case. Two of the petition’s three arguments for such review were that the decisions in the lower courts conflicted with, and misapplied (1) the Supreme Court’s holding that desegregation decrees must be limited to eliminating incremental segregative effect of constitutional violations; and (2) that Court’s allowing modification of desegregation decrees where new circumstances of law or fact had arisen. The Supreme Court, however, refused to do so. The second and third efforts to end the case also were unsuccessful. The fourth motion to terminate the injunction and end the case, however, was granted by Judge Larson on June 8, 1983. The court did so despite opposition by the plaintiffs, who later decided through their attorney, Charles Quaintance, Jr., not to seek a rehearing in the district court or an appeal to the Eighth Circuit. Afterwards the MPS Superintendent Richard Green said the decision was “a major moment in the history of the district” and that the MPS would “continue to work with the state department of education [with respect to its desegregation regulations] to show the good faith that was demonstrated by the court.” Green also said the court order had “created a climate for change in the school system that led to better-quality schools.” He specifically mentioned the change from neighborhood schools to ones that drew students from many parts of the city; the increase in student busing; and the creation of alternative programs, including “magnet” schools. I certainly appreciated that kind compliment even though I thought it was unjustified. The successful desegregation/integration of the MPS was due to the efforts of many students, parents, teachers and administrators and of the School Board. The leadership of Dr. Green was the crucial ingredient, and his skills were recognized in 1988 when he became the Chancellor of the New York City Public Schools, the first African-American to hold that position. 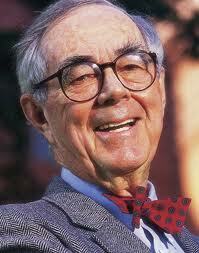 I was very saddened when Dr. Green died of asthma in 1989 at the age of 53 after only 14 months as Chancellor. He was honored by a memorial service at the Cathedral of Saint John the Divine in Manhattan with a eulogy by then New York City Mayor Edward Koch. I have donated my papers relating to this case to the Minnesota Historical Society Libray, St. Paul, Minnesota. Booker v. Special School District No. 1, 585 F.2d 347 (8th Cir. 1978). Petition for Writ of Certiorari, Special School District No. 1 v. Booker (No. 78-__ Sup. Ct. Nov. 10, 1978). The third reason for review relating to the issues regarding Native Americans that will be reviewed in a subsequent post. Booker v. Special School District No. 1, 433 U.S. 915 (1979). Memo Order, Booker v. Special School District No. 1, (D. Minn. May 1, 1980); Memo Order, Booker v. Special School District No. 1, (D. Minn. June 22, 1982). On December 17, 1982 after a semiannual MPS report had been submitted to the court, the MPS Superintendent Richard R. Green sent me a note thanking me on behalf of “the entire School District and community” for my “contribution” in helping the MPS to report total compliance with the court order. Memo Order, Booker v. Special School District No. 1, (D. Minn. June 8, 1983). During the five years of my representation of the MPS in this case, Quaintance and I were professional adversaries without any other relationship. In recent years, however, as fellow members of Minneapolis’ Westminster Presbyterian Church, we have become friends. Paulu, Judge Larson ends court jurisdiction in city public schools’ desegregation, Mpls. Star & Trib. (June 9, 1983); Pinney, Case kept desegregation effort aimed toward stability, Mpls. Star & Trib. (June 9, 1983). Letter, Dr. Richard R. Green to Duane Krohnke (June 16, 1983). A park in Brooklyn, New York was named in his honor. Learned Hand, The Sprit of Liberty, at 164-65 (3d ed. ; Univ. Chicago Press; Chicago 1977). 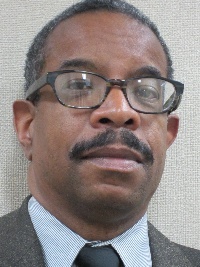 Dr. John b. Davis, Jr. In the winter of 1970-71 under the leadership of Superintendent Dr. John B. Davis, Jr., the School Board of the Minneapolis Public Schools (MPS) decided, 6 to 1, to adopt a general commitment to racial desegregation and its first mandatory desegregation step: the pairing of Field and Hale Elementary Schools on the south side of the city. The local chapter of the National Association for the Advancement of Colored People (NAACP) and some citizens, however, were concerned about the long-term commitment to this effort and the possible election of a school board that would be opposed to such measures. Therefore, in August 1971 the NAACP and others started a federal lawsuit alleging the racial imbalance in the schools was due to intentional acts of the MPS. The case went to trial in April 1972 before U.S. District Judge Earl Larson of Minnesota’s federal district court, and on the last day of the trial (April 25, 1972) the School Board adopted a widespread Desegregation/Integration Plan. The court, therefore, concluded that the MPS had violated the Equal Protection Clause of the 14th Amendment to the U.S. Constitution and permanently enjoined the MPS, “its school board, its administrators, its employees, its agents, and all those who are in active concert or participation with them . . . from discriminating on the basis of race or national origin” in its operation. The court further ordered MPS to “take affirmative action to disestablish school segregation and eliminate the effects of its prior unlawful activities.” More specifically the court ordered MPS to implement its own Plan for Desegregation/Integration with the following modifications: (a) no more than 35% of the study body of any one school could be minority children; (b) increase faculty integration; (c) not allow any student transfers that increase the segregated nature of either school; (d) submission of any plans for new schools or additions to old schools to the court for prior approval; and (e) submission of any changes to the Desegregation/Integration Plan to the court for prior approval. Finally to monitor MPS’ compliance with the court order, the MPS was required to submit semi-annual reports to plaintiff’s’ counsel and to the court. In May 1975 the court modified the injunction to change the maximum permissible minority enrollment in any school to 42% total minority and 35% of any single minority group. In July 1977 the court found that MPS had fully complied with the injunction except for racial balance at several schools, but it denied the MPS motion to terminate the case. The litigation continued until June 1983, and the latter phase of the litigation (1978-1983) will be covered in a subsequent post. The plaintiffs’ lawyer was Charles Quaintance, Jr. The defendants were represented by Norman Newhall and Gerald Bergfalk. 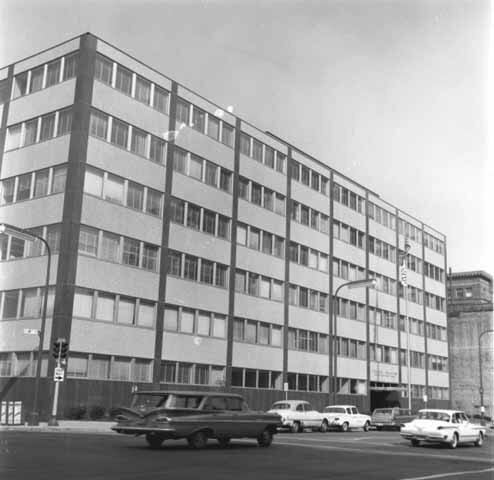 My family and I had moved to Minneapolis in the Spring of 1970, and I had no involvement as an attorney in the early phase of this case. In 1971, however, as a citizen and as a parent of two sons who would be going to the MPS, I was shocked to read that the two new members of the city’s School Board were opposed to further desegregation/integration, and at least one of them in campaigning had talked about resisting any federal court order. As a result, over the next seven years I became very active in various activities relating to the public schools in Minneapolis and elsewhere in Minnesota. In the next local election in 1973 I was very active in Citizens United for Responsible Education (CURE), a successful bipartisan coalition to elect two moderate candidates to the School Board. I went on to become active in other public education projects: Member of the Citizens League Study Committee on Fluctuating School Enrollments; Member (by gubernatorial appointment) of the State of Minnesota Commission on Fluctuating School Enrollments; Member of the Board of Directors of the Minneapolis Citizens Committee on Public Education; unsuccessful candidate for appointment to fill a vacancy on the Minneapolis School Board; and Chairman of the MPS Citizens’ Advisory Committee on School Finance. This civic experience would turn out to be very useful for me in the next phase of the litigation. Davis subsequently became the President of Macalester College in St. Paul, Minnesota. Pinney, Case kept desegregation effort aimed toward stability, Mpls. Star & Trib. (June 9, 1983). [iii] Booker v. Special School District No. 1, 351 F. Supp. 799 (D. Minn. 1972). Memo Order, Booker v. Special School District No. 1, (D. Minn. May 7, 1975). In “Gratitude I” I expressed gratitude for my educational and professional mentors. In “Gratitude II” the subject was gratitude for my wife, children and grandchildren, my spiritual journey and my financial ability to retire at age 62. Here are some other things to add to my list for thankfulness. Malcolm Gladwell’s Outliers emphasizes the importance of an individual’s family and place and date of birth as determinants of success. Warren Buffett, the great investor from Omaha, frequently says how fortunate he is to have won the ovarian lottery by having been born born in the U.S. in the 1920’s. They remind me to be grateful for having been born in the U.S.A. It is indeed a great country and provided me with opportunity after opportunity. I am also grateful that I was born at the end of the Great Depression-era and as a result am a member of a relatively small age-cohort. This has meant that I faced less competition for many of the opportunities I have had. This also meant that I entered the labor force, after all of my university-level education, in 1966 when there was strong demand in the U.S. for new law graduates with good records. Today I read the many stories in the press about the difficulties of contemporary law graduates in finding good jobs, and this is confirmed by the law students I know at the University of Minnesota Law School. I am grateful I was not in that predicament when I was starting out. Contemporary law graduates and other young people today often finish their student days with large student debts, further exasperating their situation in this difficult job market. Because of the full-tuition scholarships I had over nine years at Grinnell College and the Universities of Oxford and Chicago, I did not have any student debt and did not face this problem. For this I am also grateful. This last point also uncovers another reason for gratitude. The three scholarships I had were the result of businessmen (George F. Baker and Cecil Rhodes) and lawyers who were financially successful in capitalist systems and who had philanthropic motivations to give back and encourage others. For all of these blessings, I give thanks to God and to those named and unnamed individuals who helped me along the way. A prior post expressed my gratitude for teachers, professors and professional colleagues who have helped me. But that hardly exhausts my reasons for gratitude. I was blessed for having met and married Mary Alyce. An intelligent, attractive woman, she gave birth to our two sons, Alan and Brian, and bore the major responsibility for raising them to adulthood. All of us have been healthy without major accidents, another blessing. There have been problems along the way, of course, but we have managed to confront and surmount them. I am grateful. For 24 years, 1957 through early 1981, I had no religious or spiritual life. I clearly suffered from the sin of pride. Yet I give thanks for those years. They gave me a strong sense of what it is like to be without a spiritual grounding as well as an understanding and appreciation for intellect, logic and reason. I am grateful. In May 1981 I had a major turning when I could admit to myself and others that I did not have all the answers to life and when I joined Minneapolis’ Westminster Presbyterian Church. I am now in my 31st year of active membership at this church, and it has been and continues to be a major blessing in my life. I lament the way that Christianity is often presented to the rest of the world today, especially in my home state of Iowa over their recent Republican caucuses. I, therefore, strive to present in my own way an intelligent person’s understanding of the faith. I am grateful. I now have four grandchildren. They are wonderful, intelligent, curious, polite and healthy human beings. I am now concerned to do what I can to help them go to college and achieve all that they can be. I am grateful. My practice of law provided an excellent income, and my wife and I were able to save for our retirement, making it possible for me to retire at age 62. As I read the many stories in the press about so many people today unexpectedly not being able to retire for financial reasons, I know that I am privileged. I am grateful. I am also glad that I decided to retire from lawyering early at age 62 in order to have time, energy and good health to do things I wanted to do. Similarly I am glad I retired at the end of 2010 from my part-time job of law school teaching and from volunteering as an arbitrator for the Financial Institutions Regulatory Authority in order to create time for writing and doing things I wanted to do. I am grateful. For all these blessings, I give thanks to God and to those named and unnamed individuals who helped me along the way.